The Greater Stick-nest Rat is a guinea pig-sized native rodent which builds a large communal home out of sticks and stones. 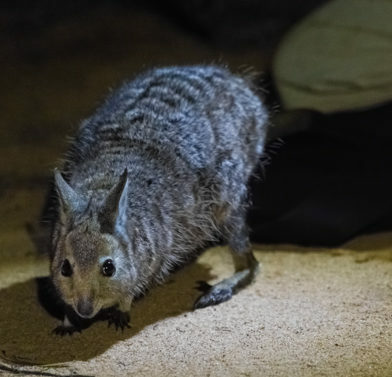 It was driven to extinction on mainland Australia by intensive predation from feral cats and foxes, clinging to survival in a single population on the Franklin Islands, South Australia. 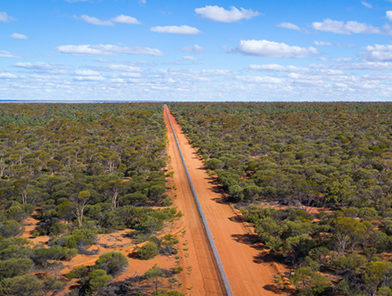 AWC has established a new population of Greater Stick-nest rats on mainland Western Australia, within the 7800–hectare feral predator-free fenced area at Mt Gibson Wildlife Sanctuary. Like many small to medium-sized Australian mammals, Greater Stick-nest Rats are highly susceptible to predation by foxes and cats – which caused their extinction on mainland Australia. Introduced herbivores likely exacerbated population declines by trampling nests and competing for food. The Greater Stick-nest Rat is large for a native rodent, ranging from 17-26 cm in body length and weighing up to 450 grams. They have fluffy yellow-brown to grey fur on their back and cream fur below, with a blunt snout, large, dark eyes and large, rounded ears. Their long tail is darker above than below, and they have distinctive white markings on their upper feet. At rest, Greater Stick-nest Rats adopt a hunched posture a bit like a rabbit. 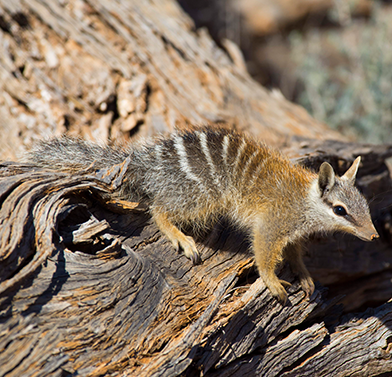 The Greater Stick-nest Rat once ranged across semi-arid regions of southern Australia, including parts of Western Australia, South Australia and western New South Wales. The species declined rapidly after European settlement, disappearing from the mainland by the 1930’s. 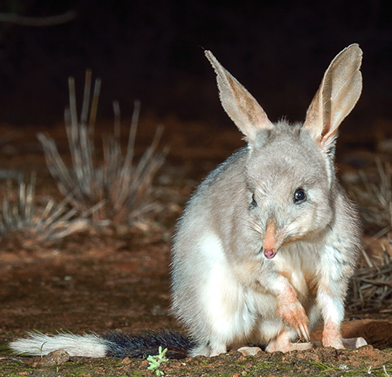 A captive breeding program was established in 1985, and the species was subsequently released on a number of offshore islands in Western Australia and South Australia. As numbers have steadily built up, Greater Stick-nest Rats have been reintroduced to a number of mainland predator-free fenced areas. Stick-nest Rats build huge, communal nests out of dead sticks. Groups of 10 – 20 individuals cooperate to find and drag branches to a central site – usually around a bush is incorporated into the finished nest. Branches are chewed to length and woven together with additionally-collected green vegetation. These nests can be up to 1 metre high and 1.5 metres wide. Tunnels lead from the outside to the centre of these structures, where rats place grass and other soft green vegetation. Greater Stick-nest Rats are herbivores, feeding on the leaves and fruits of a wide variety of other species, preferring succulent and semi-succulent plants. Breeding can occur year-round but usually peaks in autumn and winter. Females give birth to 1-3 young. Young are well developed at birth and secure themselves tightly to their mother’s teats. They cling to the mother for about a month, until weaning and independence.